Look, ma! No SIM card! With the new eSIM, you can change carriers without prying out your physical SIM card. Each year these days, I spend about a month overseas on business. With every trip I rack up frequent-flier miles, and before every trip I have an internal debate over whether I should buy a local phone, pay Verizon enormous fees, or perform phone surgery to transplant SIM cards. I hate these choices. I just want a phone I can switch from carrier to carrier and country to country without swearing. Now, thanks to a newly standardized technology called embedded SIM (eSIM), I may be able to change carriers, both domestic and international, in seconds. Well, that’s the theory anyway. I’ll see how it works out soon with my new Google Pixel 2. ESIM gives you the potential to switch carriers if they support the eSIM standard. ESIM supporters include AT&T, Verizon, Vodafone, Deutsche Telekom, Telefónica and T-Mobile. I say “potential” because the fact that the carriers can let you use eSIM’s Remote Provisioning feature to switch carriers on the fly doesn’t mean they’ll really do it. Indeed, some people are afraid that eSIMs will just be another way to lock you in. They fear that since you can’t physically pull out the eSIM, you’ll be stuck with a carrier for good. Or for not so good. I don’t see that. Few people change carriers even once. Everyone I know who has permanently switched carriers has done it by buying a new phone, not by switching the SIM. The only folks I know who switch carriers often are the ones like me who do a lot of international travel. I’m really hoping eSIM will live up to its promise of carrier portability. In fact, the two factors that drove my decision to buy the Pixel 2 were the prospect of regular Android updates and the eSIM. At 6mm in length and 5mm in width, eSIM is the smallest SIM ever made. Its small size doesn’t give up any SIM functionality. In fact, it includes new GSMA standard features: Machine to Machine (M2M) and Remote Provisioning capabilities. M2M enables “over the air” provisioning of smartphones, tablets, smartwatches and internet of things (IoT) devices, all with a single click. In addition, vendors and developers can use it to port a single interface to multiple device classes. M2M also provides Remote Provisioning abilities, which is what I care about. You can invoke Remote Provisioning in multiple ways. For example, you can switch carriers by scanning a QR code. 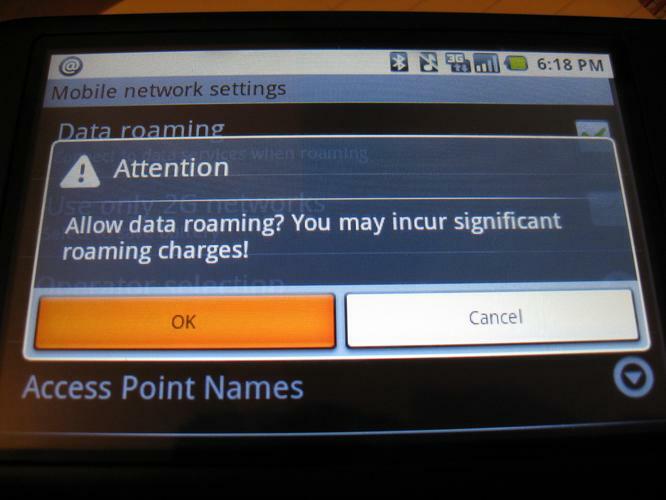 Say that your phone detects that you’re in a location your primary carrier doesn’t cover. It can offer up a selection of local operators and plans. If the carriers buy into this, you’ll never need to pay roaming fees again. I love that idea. So far, only Google, with the Pixel 2 and Pixel 2 XL, have the eSIM within a smartphone. Apple has incorporated it in its Apple Watch 3. It’s only a matter of time before eSIM appears in iPhones, Samsung Galaxy phones and then the rest of the smartphone crew. There’s a simple, pragmatic reason for that, which has nothing to do with Remote Provisioning: It takes up less space and requires less external circuitry. When vendors are obsessed with making devices ever lighter and cheaper, that matters. It will be interesting to see how this plays out. For now, with the Pixel 2 family, your only carrier choices are Verizon and Google’s own Project Fi. This is Google’s mobile virtual network operator (MVNO), which uses the T-Mobile, Sprint and US Cellular networks, as well as Wi-Fi, for voice and data. Still, if I’m lucky and all goes well, when I fly to Europe in 2018, I think — I hope — I’ll be able to use my Pixel 2 easily and cheaply no matter where I roam. If it works out that way, international business travel will get a lot easier for smartphone warriors.